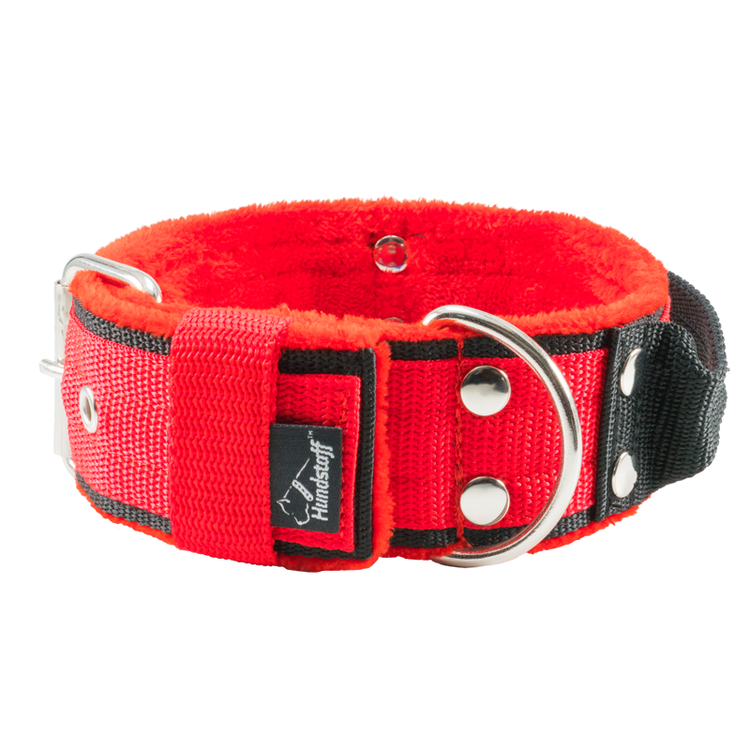 Red 5cm wide dog collar with high quality. The dog collar is made of three layers of nylon material that is assembled with strong polyester seams which makes the owner feel safe and the dog comfortable. Unique collar that will make your dog look even greater. All our products are handmade in Europa with high-quality material. Can be ordered in other sizes, contact us at info@hundstaff.se for more information.